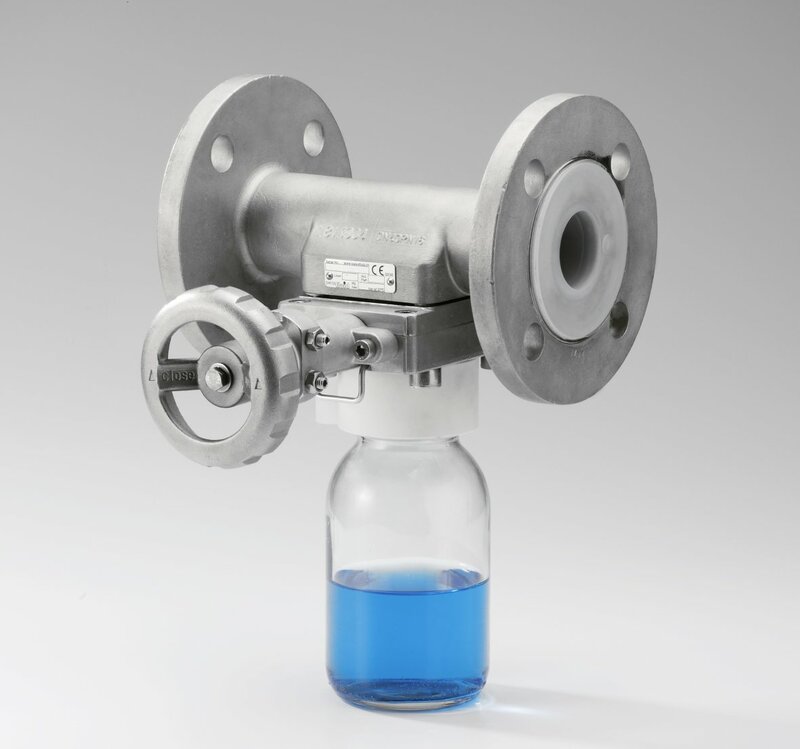 Plastomer-lined or stainless steel, full port for safe and representative sampling of aggressive or toxic liquids out of piping systems and vessels, under pressure - without any process interruptions. Nominal Sizes: DN15 - DN150 . 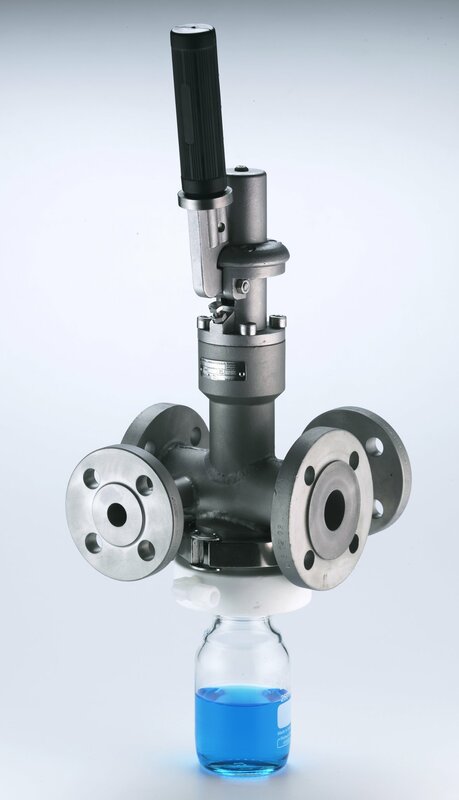 Plastomer-lined or stainless steel Wafer-style or flanged type, for representative sampling of aggressive liquids out of pressurized pipelines or at vacuum conditions - without any process interruptions.